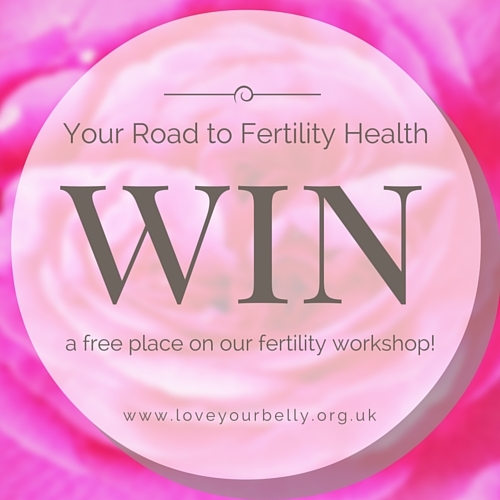 We are offering a free place for one lucky woman at our fertility workshop in Bushey on 4th October. According to the NHS, 1 in 7 UK couples have difficulty conceiving and the cost of assisted conception is out of reach for many people. Couples are crying out for safe, natural options that will boost their chances of having a baby. The winner will learn how to give herself an abdominal massage which can improve circulation to the reproductive organs and reduce stress. Between us we have more than 40 years of experience in the natural health field and believe that many fertility problems are a result of emotional or physical stresses that can show up as digestive issues or anxiety. We get that you need all the support you can get on your fertility journey, so you can bring a friend or partner to our workshop for half price. You can book your spot on the fertility page. ← Where Has She Gone? Thanks so much for your application for the free place, I will add your name to the prize draw and let you know if you have won! Definitely eligible for the prize draw then. Just email Leora@auraholistictherapies.com and say why you would like to come.